A$AP Rocky is a force to be reckoned with. Since releasing his debut mixtape, “Live. Love. 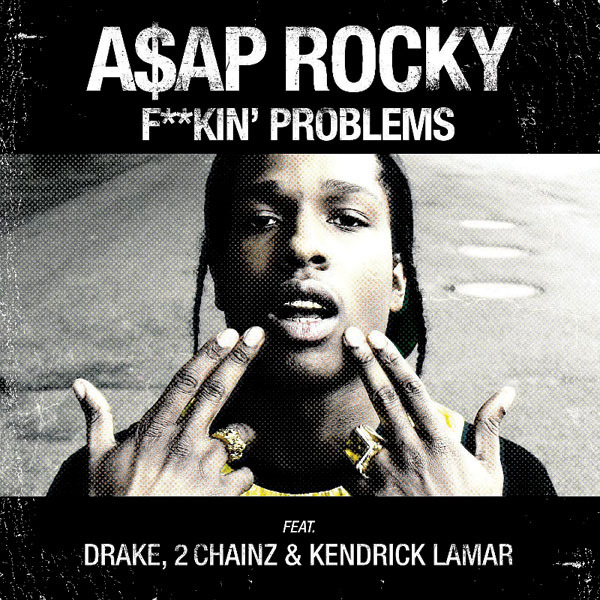 A$AP,” in late 2011, Rocky has toured with Drake and Kendrick Lamar. He’ll soon join Rihanna on her Diamonds World Tour. Songs like “LVL” and “Hell” surpass the hip-hop that gets played on the radio these days. It’s a fresh sound and not necessarily something you’re expecting from a name that’s so new to the industry. But that’s the thing. His name may be new to some of us, but Rocky isn’t new to the game. In fact, his name stems from his beginnings: He was part of the hip-hop crew A$AP Mob, a group of rappers, music video directors and producers. His maturity and experience are evident throughout the album. The latest single off the album, “F***in Problems,” shows that he knows what works. The track – a collaboration with Drake, 2 Chainz and Kendrick Lamar – is striking to say the least. Not many artists can release a collaboration with some of the hottest rappers at the moment on their debut album. Rocky also experiments with other well-known artists on “Wild for the Night” with Skrillex and bonus track “I Come Apart” with Florence Welch. The collaboration with Welch is not something you’d expect to hear on a hip-hop album, but it’s a pleasant surprise. If his next albums are as brilliant and successful as “Long. Live. A$AP,” then Rocky will be feelin’ good for a while.